Today at COSN 2019, CDW, in partnership with Lightspeed Systems, introduced Analytics Powered by Relay, a dashboard solution enabling K-12 schools to make informed decisions about their use of educational technology devices, applications and websites. Lightspeed Systems has served K-12 schools since 1999. Its solution runs on Amazon Web Services, so schools do not need to invest in additional hardware or third-party tools to support it. 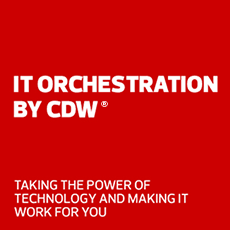 Analytics Powered by Relay customers will have access to CDW-G’s educational strategist team, which can provide an initial technology assessment, as well as ongoing coaching to drive innovation through data-based decision making. CDW-G educational strategists have advanced degrees in education and deep experience in classroom technology best practices. Analytics Powered by Relay is scheduled to be generally available to CDW’s K-12 education customers in the United States, Canada and the United Kingdom, and to schools globally in May 2019. To schedule a demo, or to connect with a CDW-G educational strategist, email EduAnalytics@cdwg.com or visit www.cdwg.com/CDWanalytics.